Throughout the current millennium, following a career spanning six decades, 72-year-old Bettye LaVette has remained the gold standard for third act careers in soul. 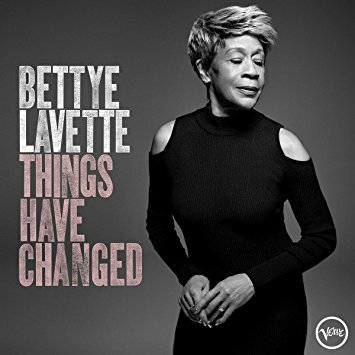 Like fellow soul singers Lee Fields and the late Charles Bradley, LaVette’s greatest recording fame came long after early peers had peaked and far too often perished far from public view, only to be remembered through aging nostalgia lenses, greatest hits compilations, and television commercial soundtracks. LaVette’s arc was different from her more famed Motown and Stax contemporaries: a rollercoaster ride of hits from the age of 16 and other creative successes, including Broadway, only to inexplicably be followed again by years of obscurity and struggle. However, since 2003’s A Woman Like Me, LaVette has gained an international reputation as America’s greatest soul interpreter of classic rock, blues, soul, and country music. Critically acclaimed projects like 2005’s I’ve Got My Own Hell To Raise and Grammy-nominated albums like 2007’s Scene of A Crime, 2010’s Interpretations: The British Rock Songbook, and 2016’s Worthy have cemented LaVette’s place as a force of nature in an industry that struggles to create space for artists after 40, much less after 70. The winner of the R&B Foundation’s “Pioneer Award” in 2006, LaVette proves with this fresh collection of reimagined Bob Dylan songs, covering the six-decade span of the singer-songwriter’s career, that pioneers still have plenty to say and offer for those willing to hear. The song selection comments on both our now and the times they were written, reminding us how much stays the same even as the decades change. Human beings stay human beings despite the passage of time and our presumed increases in knowledge. An activist in nature and deed, Dylan was always a keen observer of the world and relationships around him, transcribing their illness, tensions, and indefatigable hopes through a pen that could sometimes be as acidic as it could be intimate and loving. Socially conscious songs like “Political World (featuring Keith Richards),” “Times They Are A-Changin’” and “Things Have Changed” lament the darkening of the world and the lens of the wizened observer with a fusion of rock and the blues that is decidedly more up than down. LaVette’s metal in velvet voice grits, grins, and growls through any possible sentimentality embedded in Dylan’s lyrics infusing these songs with a powerful matter-of-factness bearing a residue of regret and resignation. Only the spare, stark, and long “Ain’t Talkin” feels a bit drawn out and a bit too much on the nose in LaVette’s hands. For ballads like “Emotionally Yours,” LaVette switches gears, wearing her vulnerability and emotionality out loud and without self-consciousness. “Mama, You’ve Been On My Mind” reads as a touching sepia tribute to LaVette’s greatest champion through her career heights and lows, her mother. Other relationship story cuts penned by Dylan are more nuanced and specific in ways that are revealed by their titles, “Don’t Fall Apart On Me Tonight,” “Seeing The Real You At Last,” and “What Was It You Wanted (feat. Trombone Shorty)” that go beyond the usual I love everything about you, how could you do me wrong, or hate you cuts that are the de rigueur in pop and R&B. They are matched in observational precision by LaVette’s unique expression of each maturely considered song. To say LaVette bests Dylan on his own material isn’t an understatement and wouldn’t be a surprise to many music listeners of both artists. The cinematic Issac Hayes and David Porter-type handling of “What Was It You Wanted” is especially rich, bringing a soulfully sophisticated strut to a project that is more rock, blues, and country in feel than traditional R&B. Guesting Trombone Shorty is fairly understated on the track, yielding to its abiding cool. There are few moments as smooth on the sometimes jagged-edged Things Have Changed than this track. Things Have Changed ultimately illuminates what makes both Dylan and LaVette as timeless as they are ageless as storytellers and interpreters of this and any time. Support by Dylan’s long-time guitarist Larry Campbell, bass virtuoso Pino Palladino, keyboardist Leon Pendarvis, and drummer turned collaborative producer, Steven Jordan (Chuck Berry, John Mayer), confidently support LaVette in delivering her most seamless and necessary project since 2010’s Interpretations: The British Rock Songbook and, with the backing of new label, Verve, another likely Grammy nomination. Things Have Changed further illustrates how true artistic mavericks and truth tellers never lose their value and ability to bring something to our lives by both reflecting and interrogating them, if only for our own good. Highly Recommended.